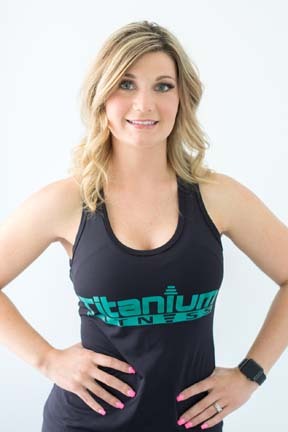 Welcome to Titanium Fitness. This is my dream. To be able to combine my love of fitness while helping individuals achieve their goals. I am certified through American Council on Exercise in both Group Fitness and Personal Training. I’ve been teaching aerobic classes since 2000 and Personal Training since 2006. I absolutely LOVE to exercise. I am excited to be able to combine Functional and Strength Training, Nutrition, Mental Strength, and a Spiritual aspect. I believe that when the Mind and Spirit are in balance the Body will follow. 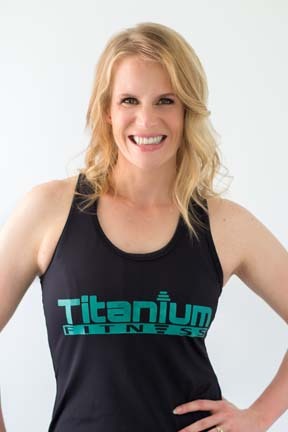 I decided to open my own business, Titanium Fitness, after several years of working for others. I took the best of what I learned from my mentors and made it mine. I have been blessed to be mentored by Physical Therapists, Chiropractors, and Orthopedic Doctors. My passion is to help others achieve their health and fitness goals. I want to share that passion with you. While I’ve always enjoyed working out, I’ve struggled with making good food choices. I’ve allowed emotion, stress, and life derail my efforts. I’ve gained and lost over 50 pounds. I know what it’s like to not enjoy shopping for clothes or to pretend that your jeans are just tight from the wash. I’ve learned the hard way you can’t out exercise a bad diet. I combine nutritional guidance, physical and emotional support, as well as constantly learning the most efficient ways to help my clients succeed. I believe that each of us are unique and as such deserve to be treated as individuals. If I could say just one thing to each of you it would be…I believe in you. I believe that you have the power to achieve your goals. I believe that you are worth the time and effort. That while it will take time, commitment, and energy, the power is inside each one of us. I’m excited to talk to you about your fitness goals. I am Ashley Spinks. I am a wife and mother of two young girls. I moved to the Shreveport area in 2011 from North Carolina. In 2012 I found a gym and Kaye. That started my love for fitness. I began working out regularly, and then wanted to learn about fitness health, after my second daughter was born. Kaye mentored me and showed me the proper ways of the fitness world. She helped me to continue working out during my second pregnancy, and teaching me safe ways to stay fit. Sticking with my fitness routines helped me tremendously during labor, delivery, and post pregnancy. My experience has shaped my desire to help other women during their pregnancies and after their babies are born. Physical exercise during pregnancy, and even after, is vital to a healthy lifestyle. My certifications are Personal Training and Spin through Fitour. Beatrice Blackmon, affectionately known as Bea, is a native of Oakland CA. She started her career at 19 as a Sports Massage Therapist while living in California. She maintained NFL clients and family owned restaurants. In 2009 Beatrice moved to Louisiana with her mother. 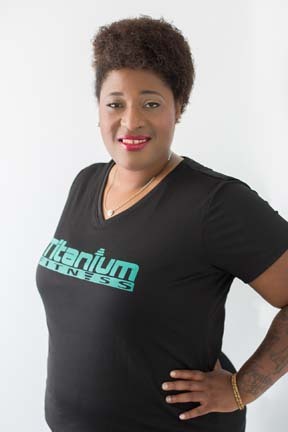 After her mother's passing in 2014 Beatrice decided that her purpose was to help others live a health life style. Due to my own personal struggles with weight and health issues I knew that making myself healthy was a necessity. I have been in your shoes. I have felt your frustrations and anxiety. I love what I do and my greatest accomplishment is when clients realize their own potential. Present day Bea holds certifications in, Personal Training, Core Training, Yoga, Group Training , Water Aerobics, Youth Fitness, and Nutrition.